This post will help you to Get the Current Location Latitude and Longitude Using React Native Geolocation. 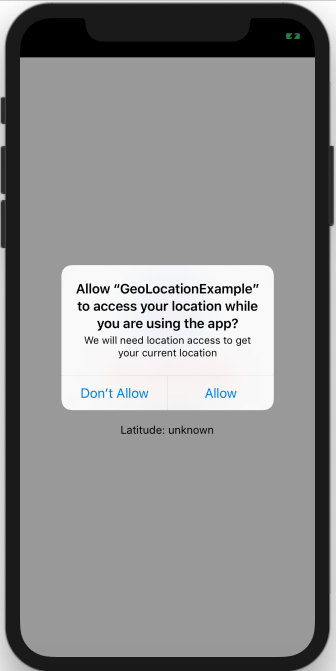 React Native Geolocation includes how to use Geolocation API in React Native Application. Geolocation API is used to get your current geolocation. As a browser polyfill, this API is available through the navigator.geolocation global – you do not need to import it. 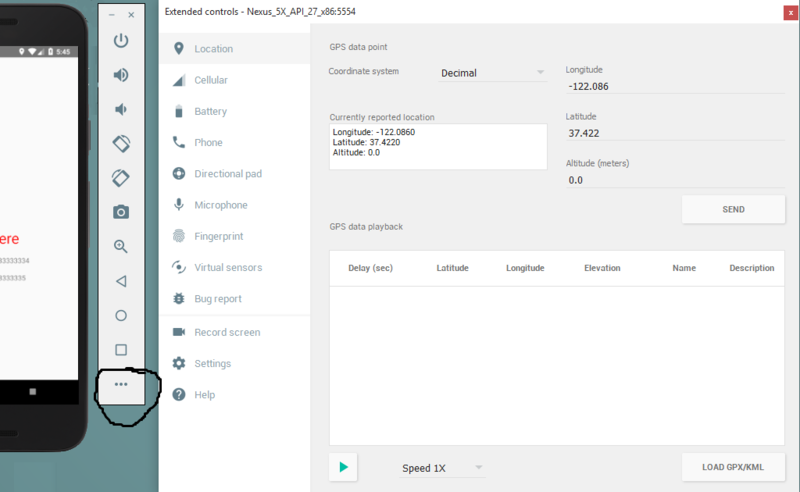 This example will get the Current Location Latitude and Longitude of the Device. This example will also show you how to ask for permission to get the current location. So let’s get started. 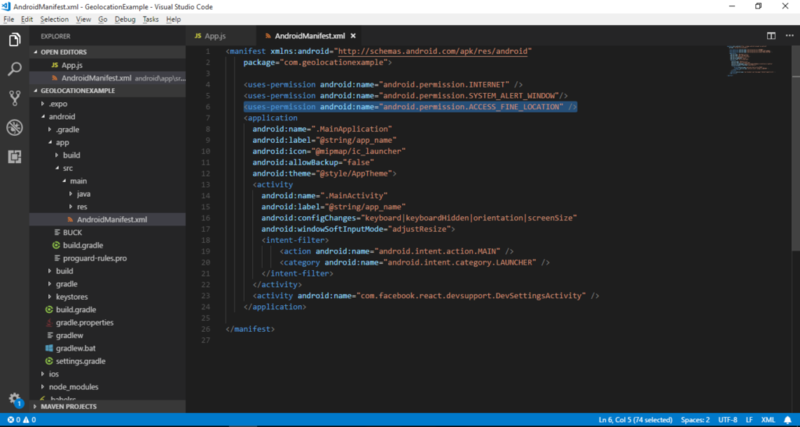 On devices before SDK version 23, the permissions are automatically granted if they appear in the manifest but after SDK version 23 we have to ask run time permission also, so we will ask for permission in code also. For more about the permission, you can see this post. In IOS the necessary key in the Info.plist (Privacy – Location When in Use Usage Description) is already set when you create a new app. If you want to use a user’s location when the app is in the background you’ll have to do some additional configuration. You can find more details about different location permission from here. For now, there are three types of location permission and they are listed below. If you have an idea about the permission then you can check it else please follow the instruction to add the permission in IOS. As we said you will find the already set location permission in IOS. 1. 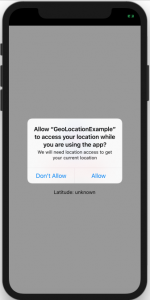 Open the project GeoLocationExample>ios>GeoLocationExample.xcodeproj in XCode. Click on Project (GeoLocationExample in my case) from the left sidebar and you will see multiple options in the workspace. 2. Select info tab which is info.plist. You can see “Privacy – Location When in Use Usage Description” is already there. 3. Add the value in front of that which will be visible when permission dialog pops up. 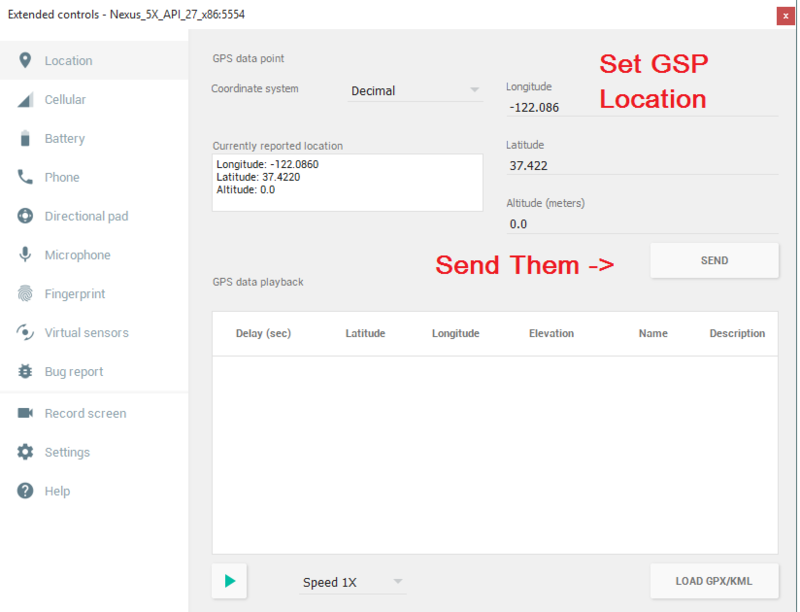 If you are using IOS Simulator then send GPS location Manually like below screenshot. This is how you can Get the Current Location of the Device Using React Native Geolocation. If you have any doubt or you want to share something about the topic you can comment below or contact us here. There will be more posts coming soon. Stay tuned!